Cool like Fonzie - TR6 desert sled with a twist. Ton-up day - cruising Brooklands with TV's Henry Cole. 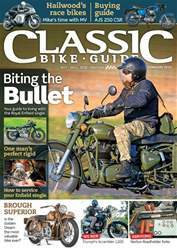 EMU BSA B66 - the V-Twin that could have saved Small Heath. 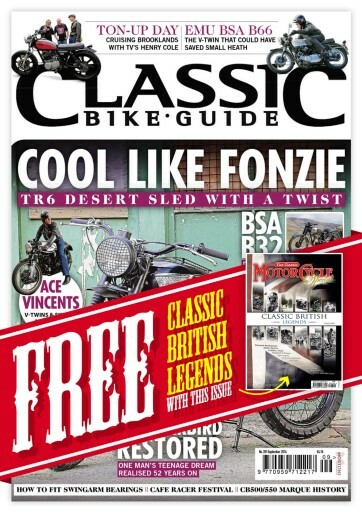 FREE Classic British Legends bookazines with this issue! BSA B32 - dirt biking Sunday, ride to work Monday. Ace Vincents - V-Twins & singles at the cafe. Thunderbird restored. One man's teenage dream realised 52 years on. How to fit swingarm bearings. 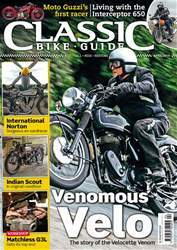 Cafe racer festival. 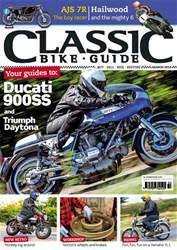 CB500/550 marque history.